All Kolorco customers are assigned an Account Manager who forms a strong personal relationship with their client. 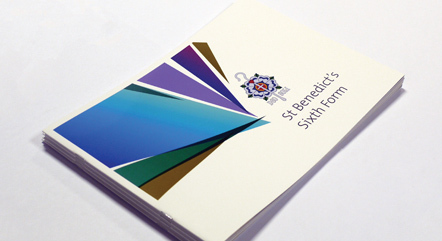 This is an example of a School Prospectus which we have produced on numerous occasions over several years. Each year there are various amendments which have to be made to reflect the changes that have taken place over the academic year. By visiting the customer in person at the school, where all the information is to hand, our Account Manager was able to talk through these changes face to face and report them back to our Repro Department. We made the necessary changes in house and submitted the amended files for approval whist maintaining an ongoing dialogue with the client. At Kolorco we strongly believe in maintaining a close working relationship with our customers which in turn saves them time and money whilst giving us the opportunity to introduce new ideas.